I also enjoyed the vending machines. Although I thought it was weird that they had no snack vending machines. 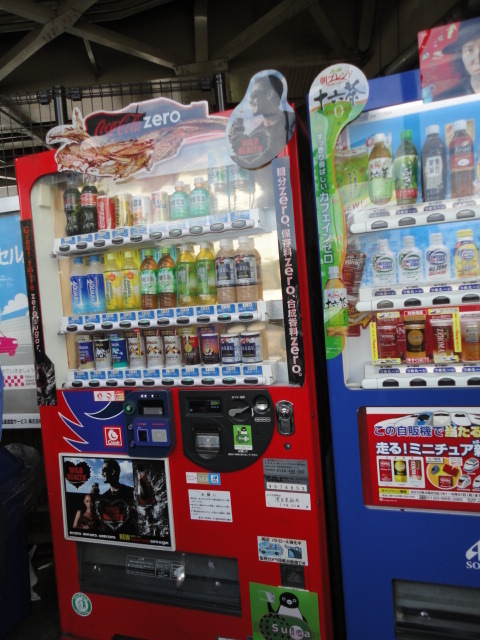 But the vending machines were very convenient because they were pretty much placed on every corner and all around the streets. It was weird to me how you could get different cigarette brands out of the vending machines but yet no snacks. 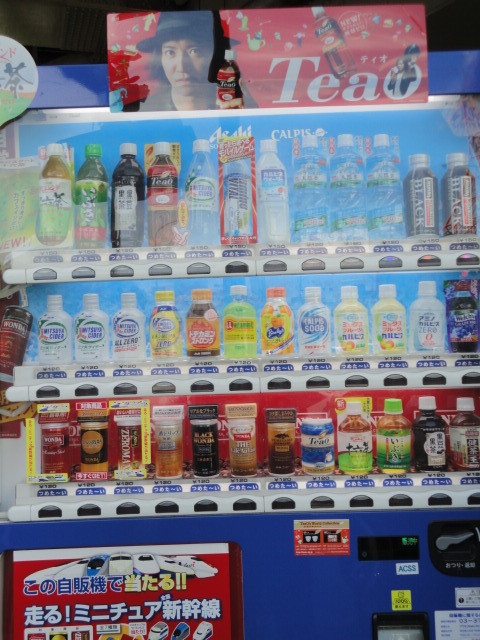 The vending machines in Japan made me jealous. I want the vending machine experience to be like that in the U.S. I think Americans are bigger consumers than Japanese, yet I feel like the Japanese are accommodated more often. This vending machines not only were place in very strategic places but they also sold a variety of different things from candy to pop to beer.